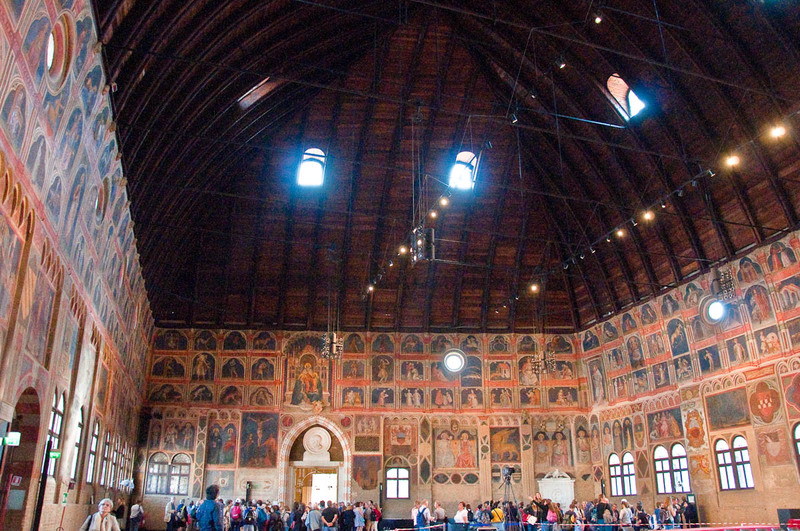 I was instantly smitten with Padua’s Palazzo della Ragione. A building where history, art, law, politics and food have met for over eight centuries, it could not have left me unimpressed. 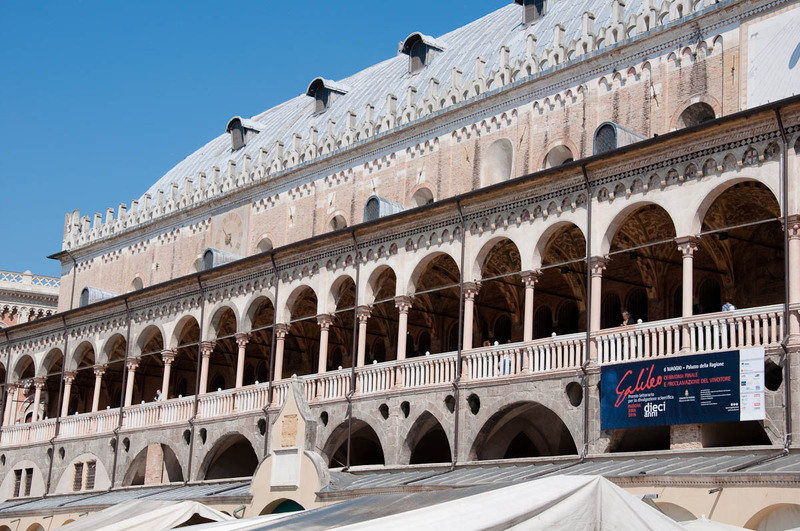 This medieval town hall had been the place where meetings and tribunals deciding the fate of Padua and its citizens had been held for centuries. All the while, its ground floor with high arched ceilings had served as the food shopping bubbling centre of the city. I had never before seen a building where both the social and the physical needs of the denizens were satisfied in a such a spectacular manner. Stood in the heart of the city and surrounded on both sides by the hubbub of a daily market, the palazzo was originally built in 1218-1219 at the probable location of the ancient Roman Forum. Known as ‘Palazzo della Giustizia‘ or (more commonly) as ‘Palazzo della Ragione‘, its name in English translates as ‘Palace of the Justice’ or ‘Palace of the Reason’. It is enormous in size and unusual in shape, striking you, when you first catch a glimpse of it, with its huge roof which looks just like the upturned hull of a boat. Covered in metal sheets, which had acquired a green tinge with the passage of time, the roof curves gently down towards an uninterrupted line of architectural ornaments. They mark the highest point of the walls of the Great Hall. Or Salone, as it is known in Italian. In other words, the immense room which takes all of the first floor of the palazzo. 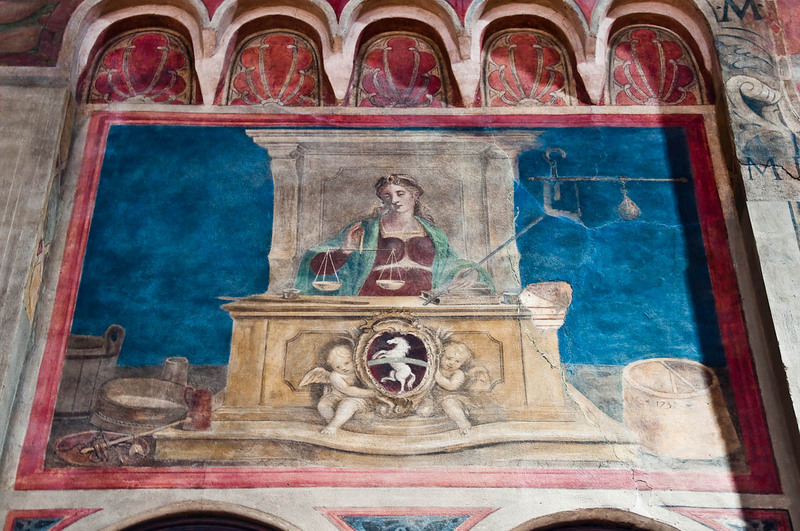 On the inside the Great Hall is covered in splendid centuries-old frescoes. On the outside it is flanked on both sides by columned loggias. 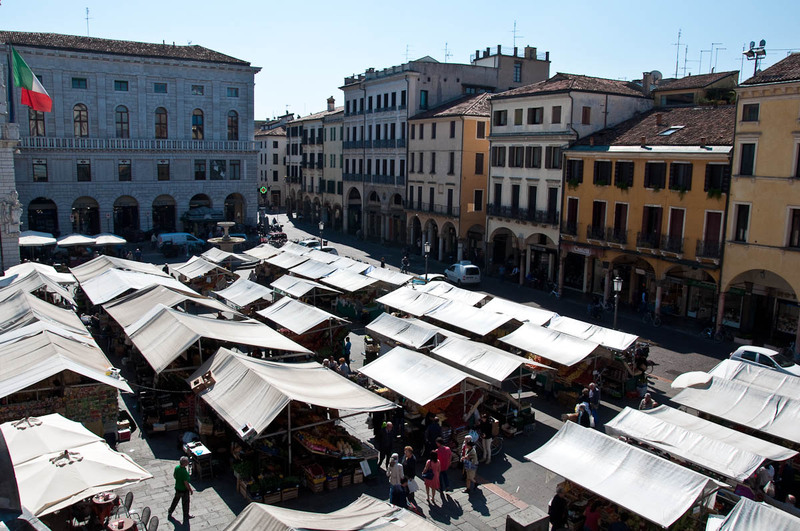 They look over the adjacent squares where market stalls are erected each morning and where, in the early evening people flock to enjoy an aperitivo and a friendly get-together in one of the many cafes which set up their tables straight on the pavement. And then, right under the loggias and the Great Hall is the cavernous ground floor of the Palazzo della Ragione. There underneath high vaulted ceilings nestle butchers, cheesemongers, cute little delis, bakeries, and traditional Italian bars. 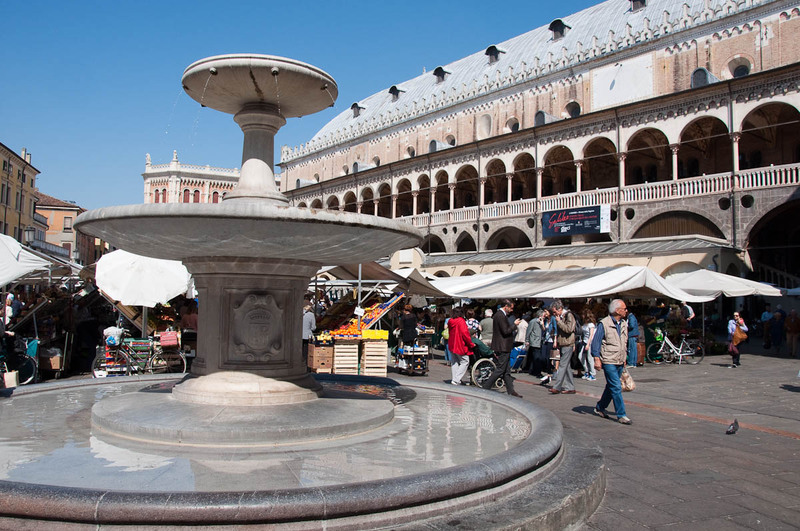 Thus the ground floor of the palazzo has become a natural extension of the surrounding market. 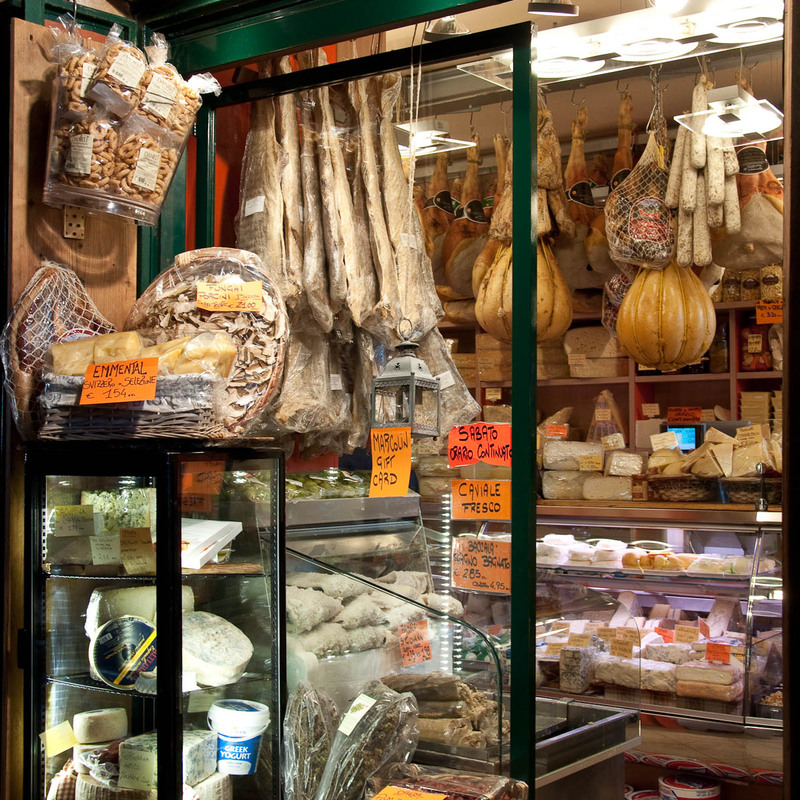 Whilst it takes care of the purely physical needs of the good citizens of Padua, making sure they can buy there the choicest meats, breads, salads and cheeses, the ground floor of the palazzo leaves the top floor to attend to their political, legal and civic matters. 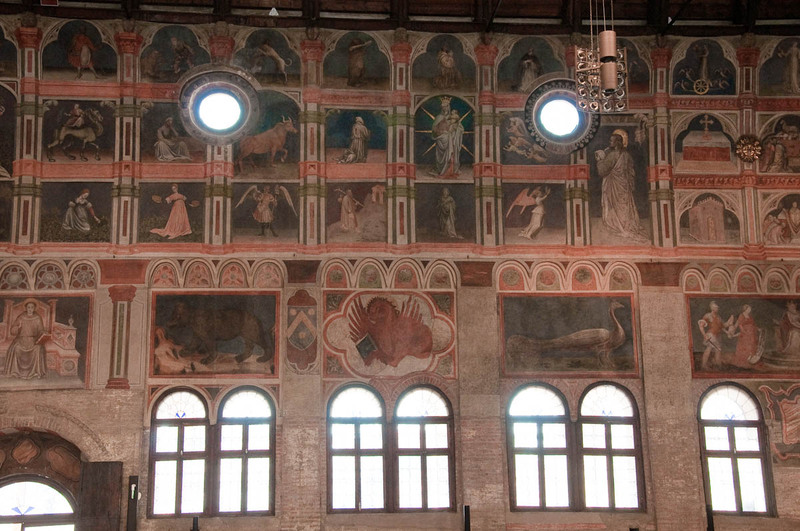 I approached the stunning Palazzo della Ragione with some trepidation on a bright Friday morning. 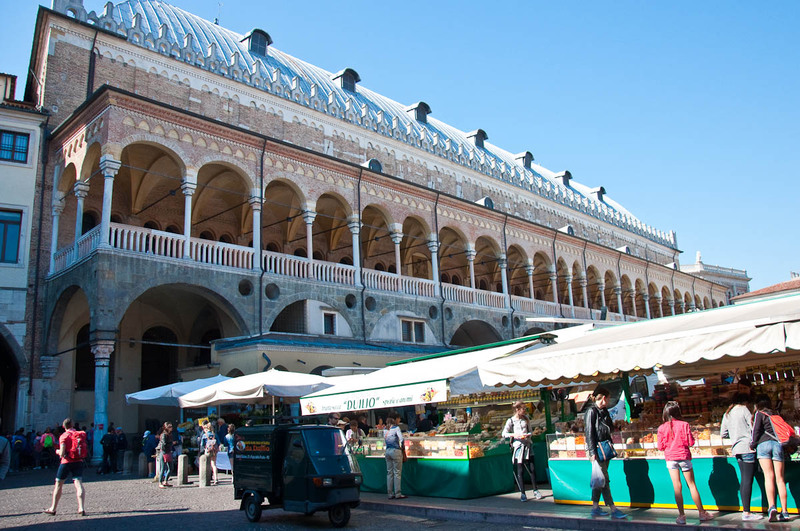 I was enjoying a quick but exciting visit to Padua, flitting from one sight to the next with the emotions felt by an explorer who had just come across a real-life version of a colourful dream. The sun was shining high in the bluest Italian sky. People around me were indulging in some market shopping picking from the surrounding stalls fresh strawberries, peas and asparagus, all grown in Italy. I had only half an hour left before I had to head to the train station in order to return to Vicenza. On one hand, I really wanted to visit Palazzo della Ragione, but on the other, I didn’t want to rush it. I had seen online some splendid photographs of its wall-to-wall frescoes and, once actually there, I wanted to savour them deeply, rather than just having a quick glance. You know how sometimes people only visit places so as to be able to tick them off their lists and to be able to say that they had been there?! I wasn’t after this type of experience. 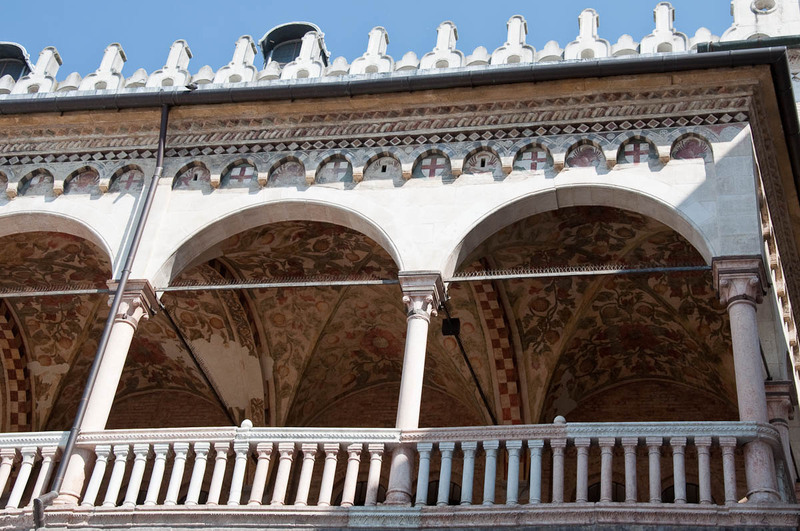 After some thought, I decided that no matter how short I was of time, I couldn’t miss the opportunity to see the palazzo, reasoning with myself that I could always go back, as Padua is only a short train ride away from Vicenza. I scaled the steep steps which lead from Piazza delle Erbe up to the columned loggia of the palazzo, only stopping halfway to buy a ticket from the ticket office huddled in a little room there. 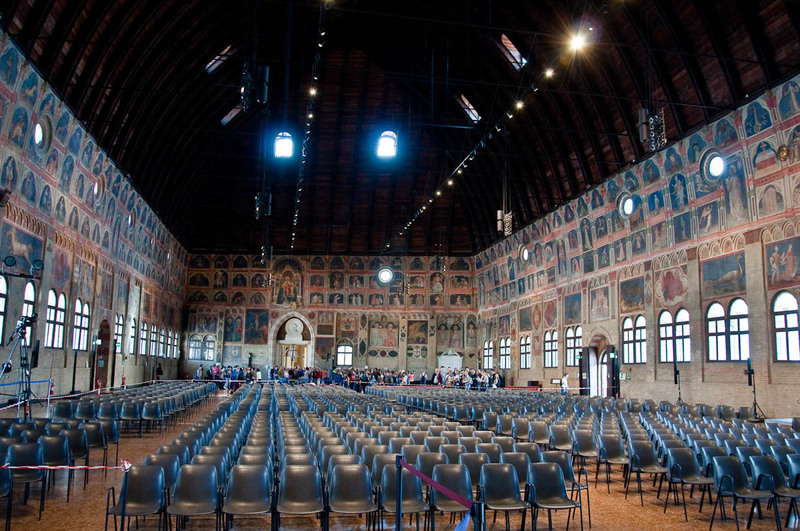 Full tickets cost 6 euros, but on that particular day all visitors were charged at the reduced rate of 4 euros, as the Great Hall had been cordoned off partly as the prize-giving ceremony of the Galileo Literary Awards for Popular Science was to be held there that same evening. With every step I took up the worn out steps the beautiful loggia revealed itself more and more in front of me. Its high-vaulted ceiling opened up above me, fully frescoed with floral and fruit-based motifs in orange, yellow and green. They were remarkably well-preserved considering that they have been exposed to the elements for many centuries. In spite of the huge size of the building and the massive stone- and brickwork, the loggia felt nice and airy, a lovely place to take refuge in from the hot sun rays and to enjoy the surrounding vistas. From there a small door led into the Great Hall. And great it was! Both in size and decoration. As well as in spirit and the feelings it provoked in me. The hall was absolutely immense, stretching from one to the other end of the building. Everyone who came in from the loggia, took a minute just to catch their breath and to get used to the idea that they were in this enormous place which seemed bigger than the world we had just left outside. In terms of measures, the Great Hall is 81 x 27 metres and its height is 27 metres, too. But being in there it felt even bigger than that, it felt all enveloping and encompassing, like a place which had been built to inspire and impress. The light inside was dim. It took a while for my eyes to fully adjust and then the most wondrous view opened up in front of me. 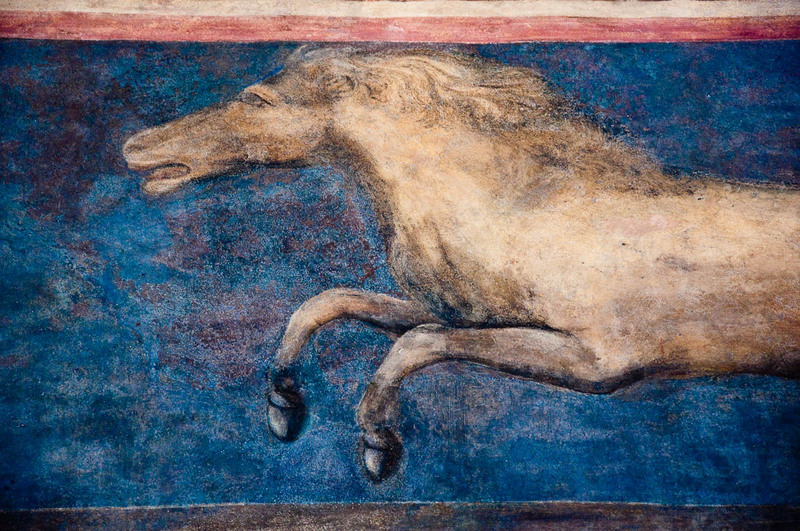 The walls of the Great Hall were decorated with an uninterrupted cycle of frescoes whilst right at its other end stood a huge wooden statue of a horse. Right above me soared the deep, hull-shaped ceiling which originally had been painted in pale blue and gold by Giotto and his disciples in 1315-17 to represent the sky with planets and over 7000 stars. Unfortunately, the roof had suffered terribly during the eight centuries since it was built. Destroyed first by fire in February 1420 and then by a hurricane in August 1756, it was restored in 1759, but the star-spangled sky of Giotto was never reproduced. 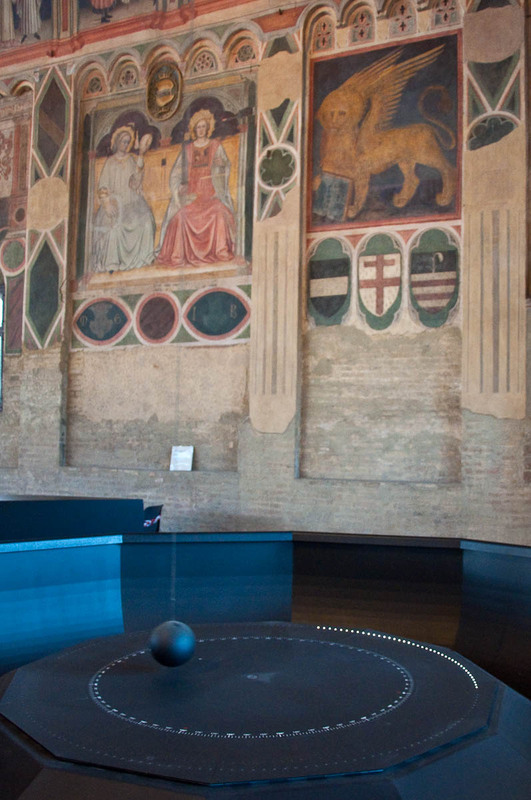 A modern addition to the Great Hall stood by its entrance door – the Pendulum of Foucault – realised by the Department of Physics of the University of Padua. 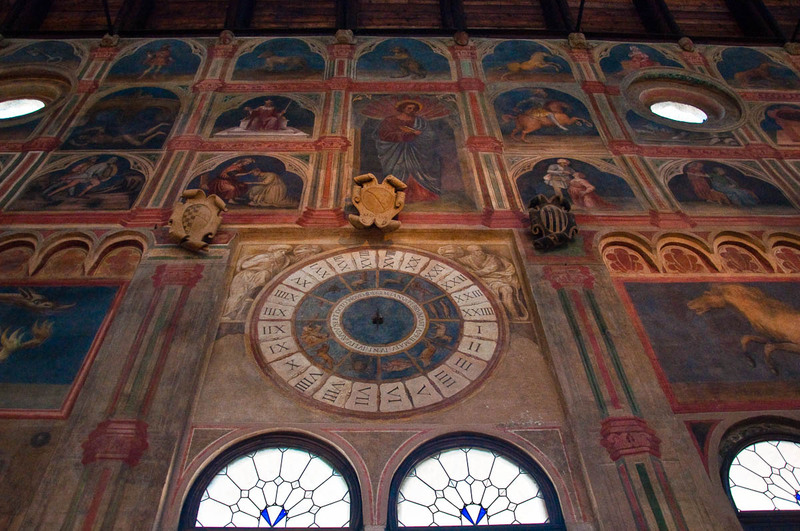 I started circling the Great Hall slowly taking in as much of its splendid frescoes as I could. Several Italian painters had worked on them through the centuries. They have been restored as recently as 1963 and are simply staggering in their scale and the scenes they depict. 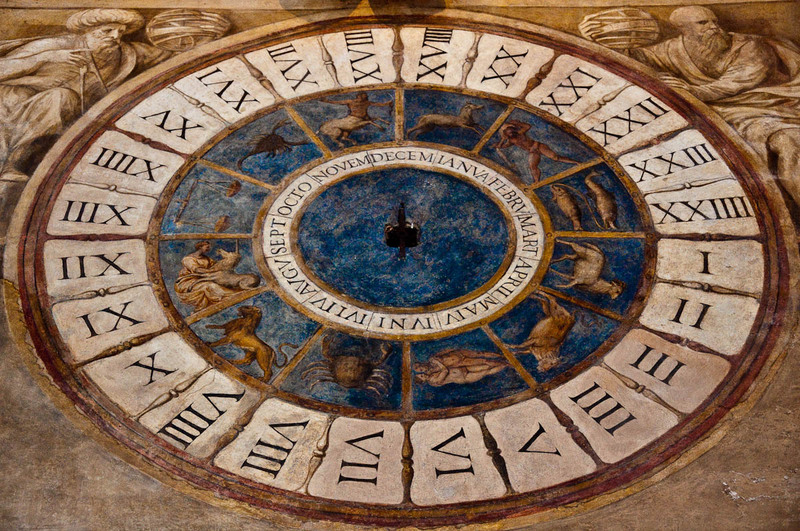 It is a complex work of multi-layered symbols derived from the works of Italian philosophers and physicians. Having seen thousands of frescoes and paintings based on religious themes, it was refreshing to come across this amazing body of work expressing a slightly different point of view. 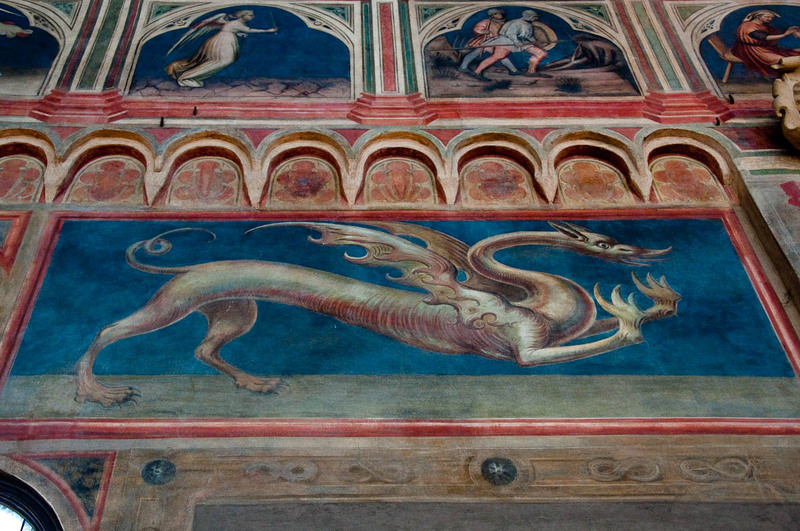 I was particularly taken with the frescoes depicting different animals. Their elongated outlines were full of energy and strength. 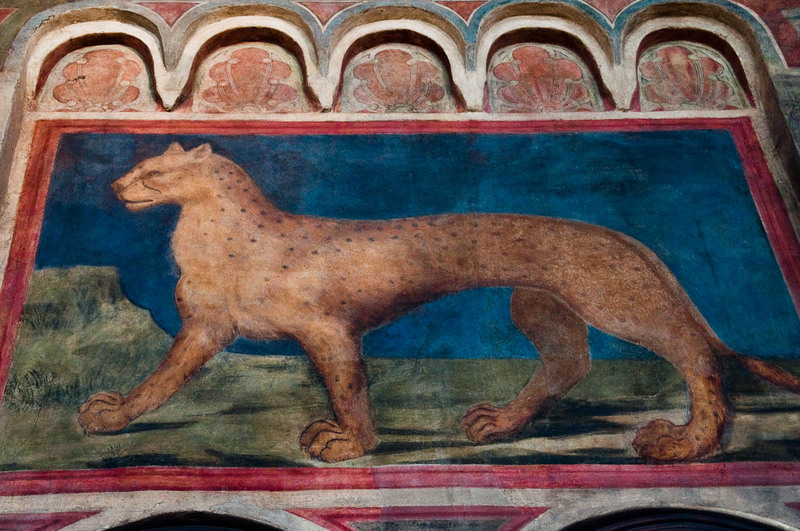 The most impressive animal of them all, though was waiting for me at the other end of the Great Hall. 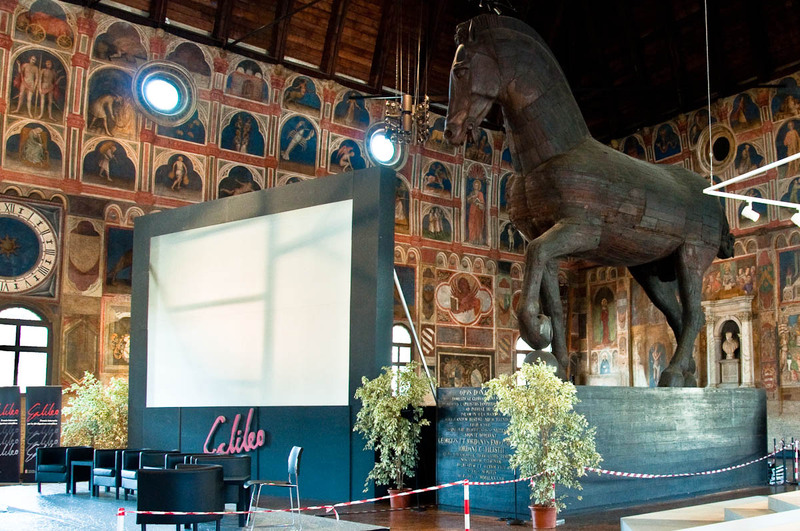 The gigantic wooden horse was donated to Padua on 11th December 1837 by the Capodilista family. It is often mistakenly attributed to Donatello, who in 1453 created the first full-size equestrian bronze cast since antiquity (you can see it outside of the Basilica of Saint Anthony in Padua). 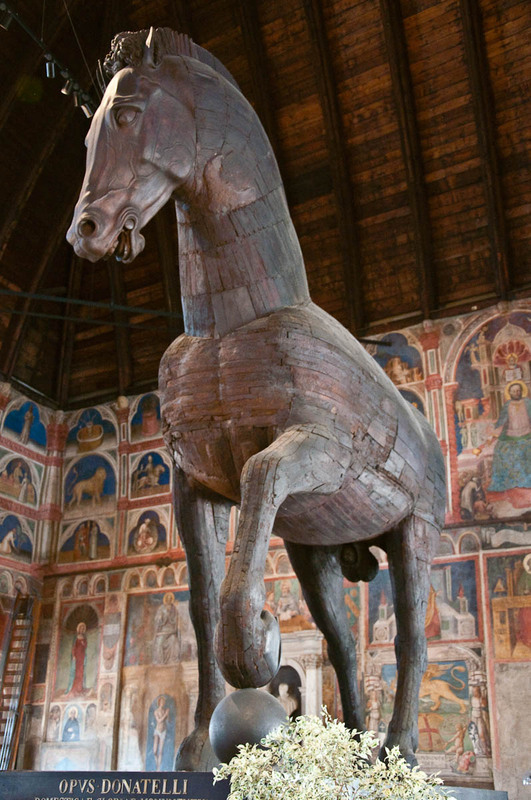 In fact, the wooden horse in Palazzo della Ragione was built in 1466 for a public tournament. Its head and tail were modelled by Agostino Rinaldi. 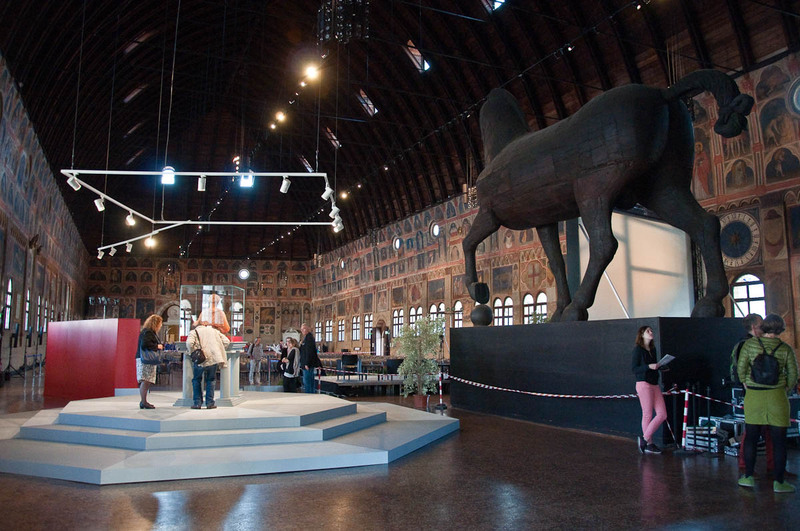 The horse made a real impact on the groups of people who quietly explored the Great Hall. At any point, it was surrounded by visitors, appreciative of its elegant yet powerful posture. I spent a few more minutes just taking it all in. Then it was time to rush to the train station and get back home in Vicenza. 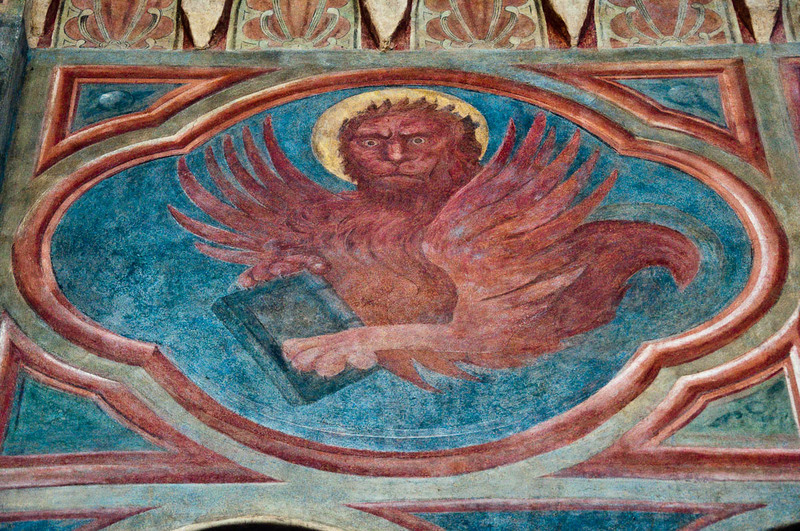 Needless to say, I will be back to Palazzo della Ragione before long, as there are so many little and bigger details there I would like to pay more attention to. 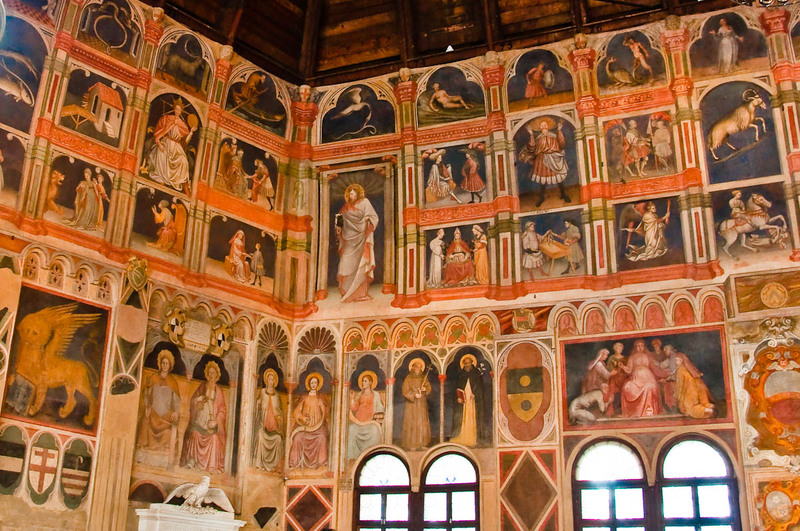 Amazing frescoes. A golden sun through the mouth of which at midday passes a ray of sunlight which then strikes the floor along a meridian line. And even the Stone of Shame on which insolvent debtors as far back as 1231 were made to sit just in their underwear whilst uttering three times the words: ‘I renounce my worldly goods.’ Apparently after this humiliating display they had to leave Padua and if they returned and were caught, they had to go through the same procedure again, but this time three buckets of cold water were splashed on their heads. 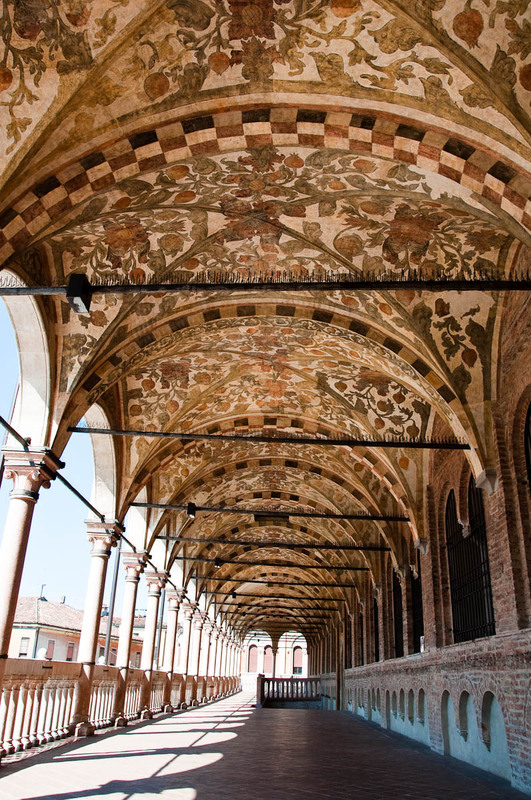 The Palazzo della Ragione is a wondrous place, a great testament to what the human spirit and the human hand can achieve. 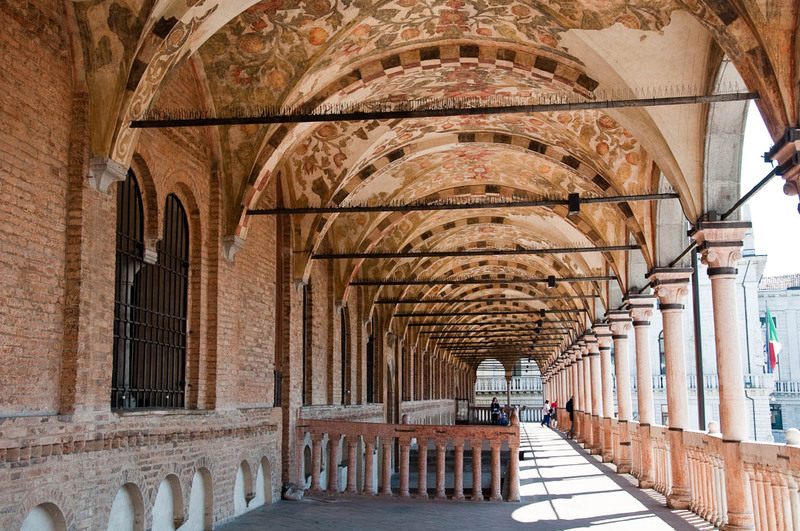 If you ever find yourself in Padua, put a visit to it at the top on your list. Let me know below which historical building has made an impression on you. What do you remember it with? And would you go back to see it again?